Feeling the urge to fly? We can make your dream come true! Paragliding means feeling purely free and as a part of nature itself. 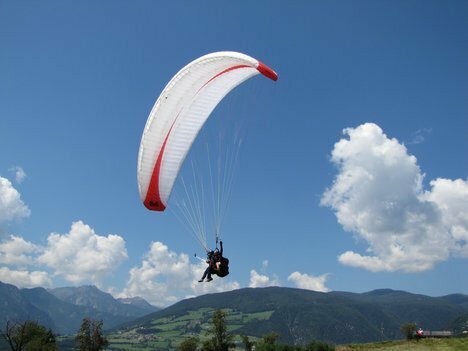 You can get a taste of that special feeling by flying with Mastgofly in the Gitschberg-Jochtal and Kronplatz region. No matter if you're young or old, we can make this dream come true for everybody. As an unforgettable holiday adventure or a special present for friends or family, an tandem flight is always a good idea. Enjoy the birds view of the Eisacktal, the Pustertal or in both directions! Safety comes first: You fly with state certified, experienced tandem pilots.